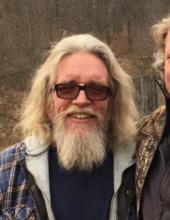 EAST OTTO — Michael J. LaBelle, 64, of East Otto, passed away Saturday (March 23, 2019) at Bertrand Chaffee Hospital, in Springville. He was born June 12, 1954, in Buffalo, son of the late Radolph LaBelle and Ruth Zwilling LaBelle, who survives. Mr. LaBelle was a veteran of the U.S. Navy. He was a member of Local 17 Operating Engineers of Buffalo, for over 25 years. He loved riding his motorcycle and spending time with his family. Besides his mother, he is survived by a daughter, Brianne LaBelle of Great Valley; a grandchild, Landon; four sisters, Darrell Duermyer of Springville, Denise (Donald) Worral of Ashford, Diane (Norman Girardot) LaBelle of Bethlehem, Pa. and Donna (Mike Perrington) Finnegan of Little Valley; and several nieces and nephews. Friends may call from 4 to 8 p.m. Wednesday (March 27, 2019) at the Mentley Funeral Home Inc., 411 Rock City St., in Little Valley. Funeral services will be held at 11 a.m. Thursday (March 28, 2019) from the funeral home. Memorials may be made to the Patriot Guard Riders. To send flowers or a remembrance gift to the family of Michael J. Labelle, please visit our Tribute Store. "Email Address" would like to share the life celebration of Michael J. Labelle. Click on the "link" to go to share a favorite memory or leave a condolence message for the family.